Home / Safety / How Much Do You Know About Tennessee’s “Move Over” Law? How Much Do You Know About Tennessee’s “Move Over” Law? It can happen in just a split second of distraction. A car door swings open unexpectedly. A person steps or stumbles into oncoming traffic. A driver underestimates how close he or she is to a vehicle on the side of the road or the driver is distracted. These are just a few of the reasons for the hundreds of auto accidents in Tennessee that have injured or claimed the lives of many on the side of the road. In an effort to avoid these types of accidents, the “Move Over” law was passed in 2006. Tennessee was the 30th state to establish such a law. This law requires drivers to move over into the next lane of traffic in certain circumstances — and if you can’t for some reason, then you are required to slow down. The law was originally passed to require drivers to move over for emergency vehicles only. In 2011, the law was amended to also include utility service equipment. In 2017, the law was further amended to include any vehicle on the side of the road with its hazard lights flashing. Although the Move Over law has been in place for a while, there are still many drivers who are either ignorant of it or don’t take it seriously. In this 2017 video from the Tennessee Department of Transportation, highway patrolmen set up a Move Over law enforcement operation in Middle Tennessee. In 10 hours, they handed out a total of 41 tickets to drivers who failed to move over for emergency or utility vehicles. The Tennessee Highway Patrol feel the operation was successful in showing the dangers that those working on the side of the road face. What’s the penalty for not heeding the Move Over Law in Tennessee? You could be assessed a fine of up to $500 as well as spend up to 30 days of jail time, though jail time is rare. 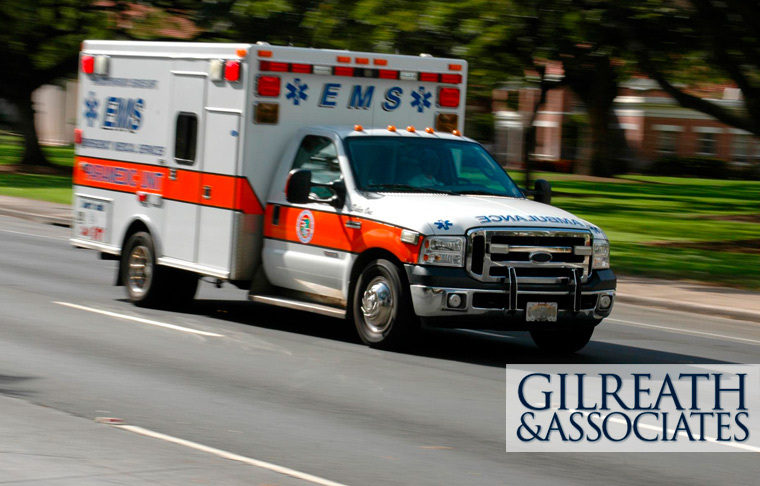 If you or someone you know has been injured in any type of auto accident, Gilreath & Associates have the knowledge and experience to get you the outcome and compensation you desire. Contact Gilreath & Associates today for a free consultation.